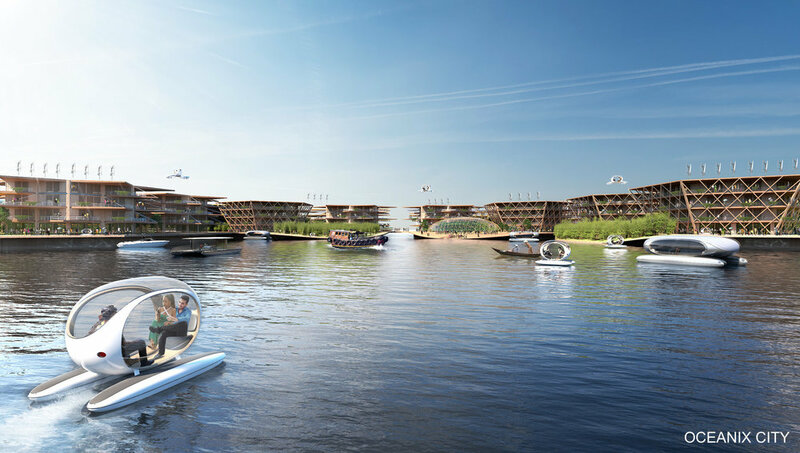 Designed by architect Bjarke Ingels and floating city builder Oceanix, The United Nations have unveiled a stunning concept for a floating city. Able to hold around 10,000 residents it has been designed to withstand natural disasters such as floods, tsunamis, and even Category 5 hurricanes. Essentially, the city would be made from a collection of hexagonal platforms, similar to that of honeycomb, that each would hold around 300 residents. 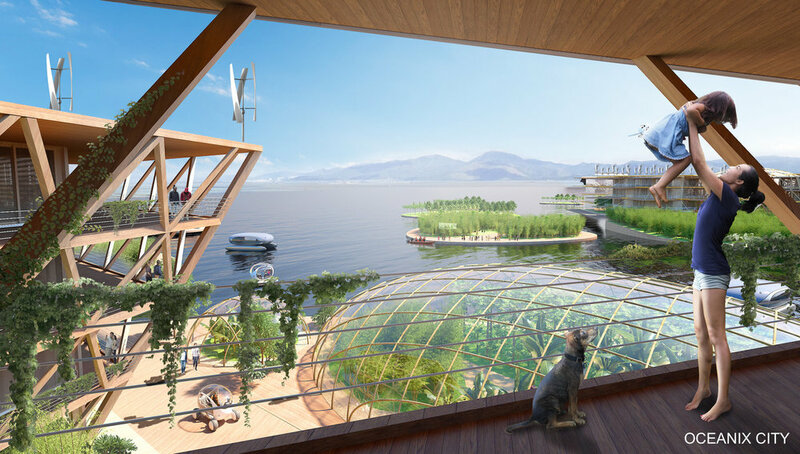 The concept calls for “ocean farming”, which would involve growing food beneath the surface fo the water. Specialised technologies such as cages to harvest seafood and aquaponic systems to fertilise, would be used to help the city remain self-sufficient during natural disasters. Overall, the goal is to reduce waste and produce all the food necessary to feed the city’s inhabitants. The city would also contain an aquifer system. In a disaster scenario, machine generators would pull air from the atmosphere, condense it into water, and filter it for impurities such as metal or bacteria. Keeping with its organic, futuristic and refreshing design, all buildings would be constructed out of sustainable materials like timber and bamboo. They’re also contrived to be disassembled so that future generations of architects can reconfigure the concept to further improve on or add too.